Despite the presence of alcohol, the sanitizer makes hands soft due to Aloe extract. The bottle is easy to handle. It's an ideal sanitizer for everyday use in an office, at home or in a hospital. Due to the high alcohol concentration, the sanitizer kills the maximum number of germs, working gently on skin. 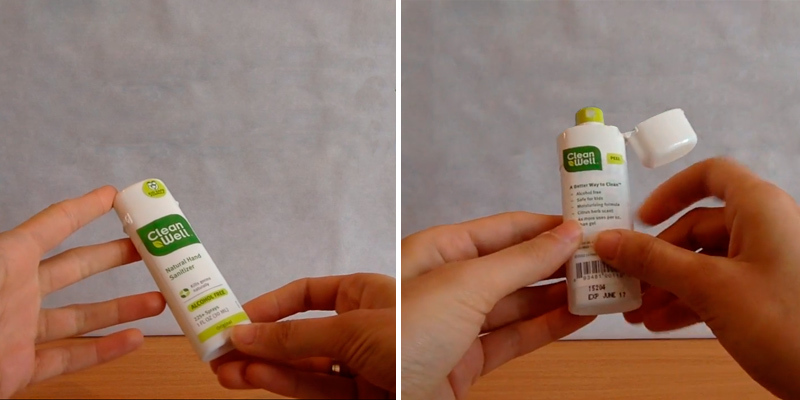 It's a completely natural, alcohol-free hand sanitizer based on pure plant extracts. Family-friendly! Thyme oil might cause allergy. 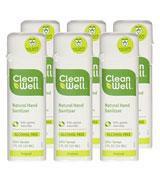 Cleanwell Hand Sanitizer Spray is the natural choice for those using only organic products. This antibacterial hand sanitizer is totally safe and suitable even for sensitive baby skin. Thanks to its active ingredient, the sanitizer doesn't irritate skin and can be used even for disinfecting wounds. 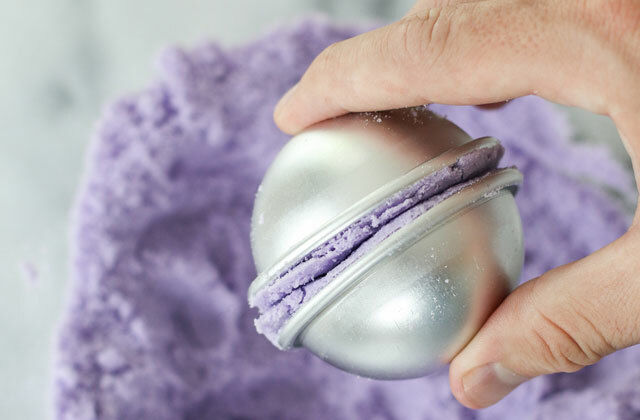 It leaves a bit sticky feeling. This foaming sanitizer is a great solution for the disinfection of both hands and nurseries. It's hypoallergenic and doesn't dry out hands. 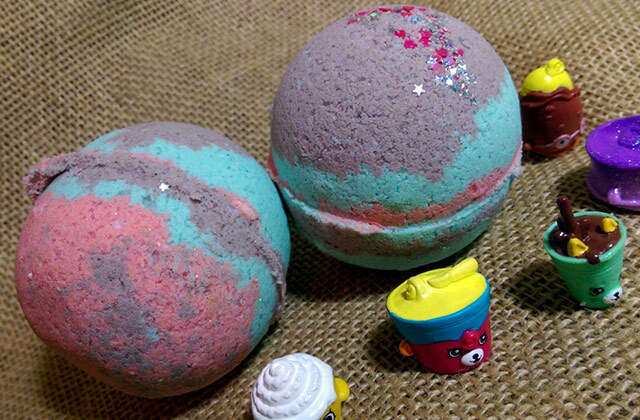 You can select between the mandarin scent of fragrance-free options. 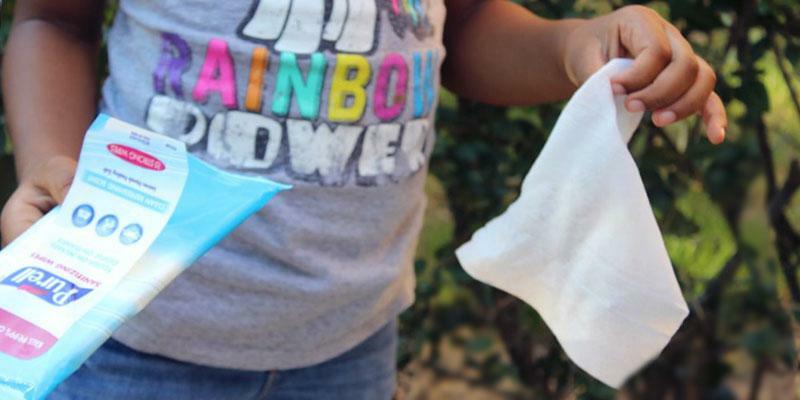 The wipes are easy to carry and convenient to use. They can not only sanitize but clean messes as well. The wipes are too moisturized. These sanitizing wipes are the best choice for traveling or everyday use. They take up very little space and can fit into a car glovebox so that you could always clean hands or a steering wheel on-the-go. It may be conveniently mounted on a wall. Plus, you can change cartridges whenever you need. 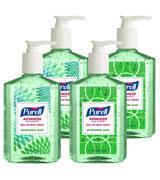 The Purell ES is an extremely effective alcohol-based hand sanitizer perfect for use in high-germ public environments. Boasting a push-type dispenser it's pretty easy to use. Tired of all those sanitizers drying your hands? Forget about it! The Hand Sanitizer Purell is a great sanitizing gel which due to high alcohol content, effectively and almost instantly cleans your hands from bacteria. It kills up to 99.99% of harmful germs that might cause illnesses. Since the gel uses aloe vera as an active ingredient, it provides users with numerous benefits for skin, protecting it from irritation, dryness, redness and cracks. It also means you can use it as often as you need. The Purell Sanitizer being bottled in 8-oz capacity is very convenient to use not only at home but actually in many other situations if you for example often touch ATM machines, shake hands with other people, deal with money, or work on a street (where cold and flu are likely to lurk), this sanitizing gel will definitely come in handy. If you work on the computer at the office, why not get it to use there too? Touching the keys isn't exactly hygienic but with the Purell Sanitizer at your fingertips, you'd be able to clean hands more often and worry not about bacteria spread. 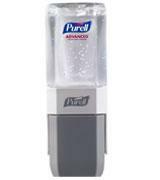 The Purell Sanitizer smells great, works gently on hands, dries instantly and is simply amazing. Sums it up! Remember that it's vitally important to clean the dishes with high-quality dish soap, since dirty dishes can also be a conveyor of germs. 100% Natural Sanitizer for Your Family! 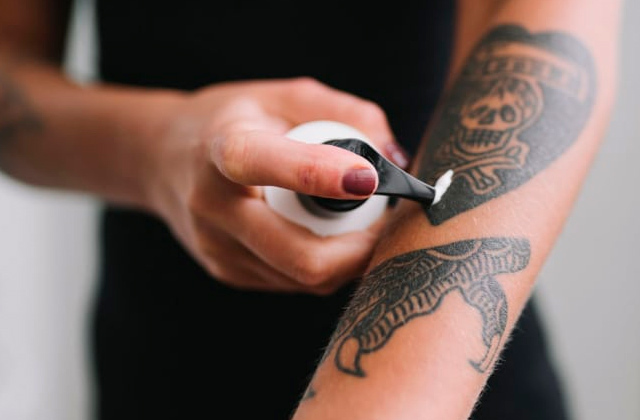 Today, more and more cosmetic companies manufacture their products using only natural products, since everyone knows the detrimental effects of chemical components on our skin. The Cleanwell Hand Sanitizer is the non-aggressive antibacterial spray containing no alcohol, no chemical additives, and no artificial fragrance. 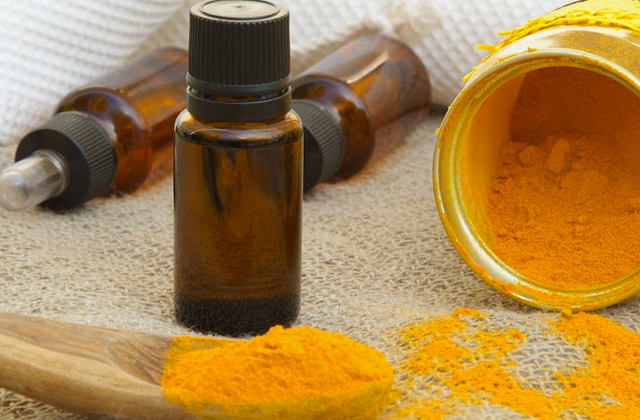 All these make this a pure product that kills germs in a natural way! 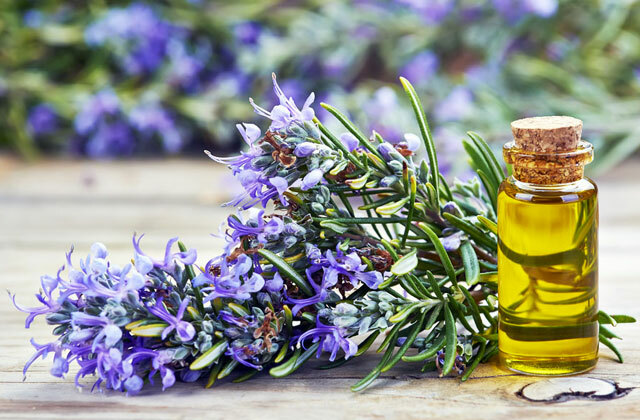 Its active ingredient, thyme oil, does not dry and irritate skin. 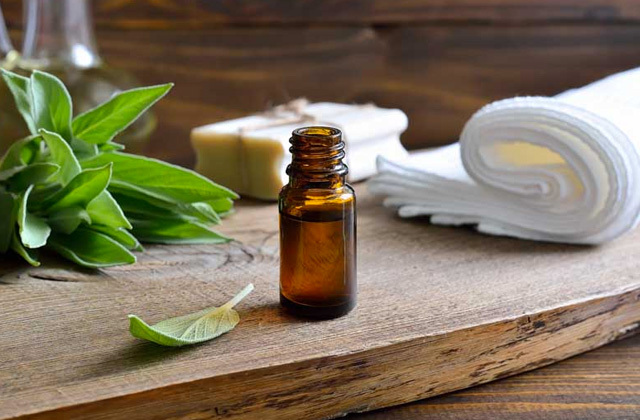 Furthermore, the Cleanwell Natural Hand Sanitizer Spray includes other essential oils such as Aloe leaf juice, Orange oil, and Oregano leaf oil that are very useful for skin. As we have already mentioned, the spray doesn't include alcohol and Benzalkonium Chloride - ingredients that could be hazardous, especially for children. Thus, the spray is safe not only for adults (not only cleans but also cares) but for kids too (antibacterial and alcohol-free). The spray bottle is great in size and in design, thus, is so easy to apply, especially to your kid's hands. The bottle is protected with a fixed lid, so neither you nor your child will ever lose it or leave the bottle open. 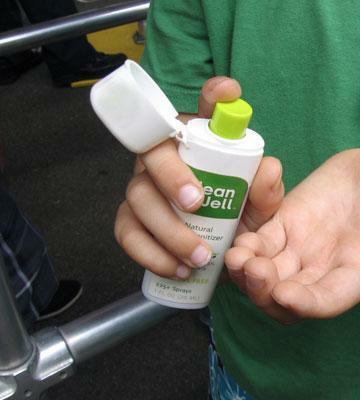 You can use a compact Cleanwell Natural Hand Sanitizer Spray bottle at home or put it in a purse or bag. Plus, you can buy a larger bottle to keep in your car or to use in the office. Overall, this is a great environmentally conscious unscented hand sanitizer that is hard on germs and bacteria, but gentle on your skin! However, if you an allergy sufferer, perform allergy skin testing first thing. 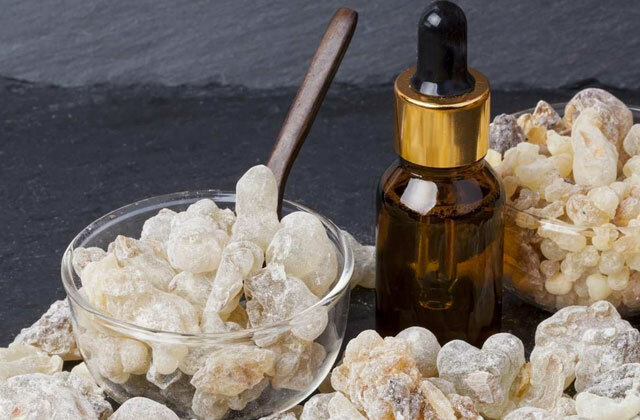 Essential oils despite all their benefits can easily cause allergy reactions. Don't forget that bacteria can live in tap water, so before cooking or drinking, it ought to be cleaned of harmful impurities. Get a water filter and never worry about the quality of water at your place. The Best Sanitizer for Your Little One! The homecoming of a baby is one of the major events in parents' life, and buying baby-proof products is a priority for parents. So, preparing a house for your baby's homecoming, remember that just in a couple of months, your kid will start discovering the world around, learning the place, hearing sounds and of course, touching all sorts of things. Believe us, the next stage all kids come into is chewing and tasting whatever's passed on their way. 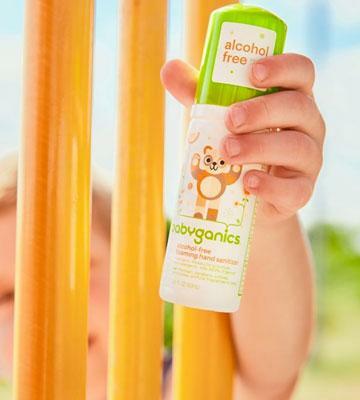 This isn't to say that you should sanitize all your furniture around, but some of the most favored toys by your kid can be cleaned with the Babyganics Foaming Hand Sanitizer so that you're less concerned about bad bacteria getting into your child's mouth. 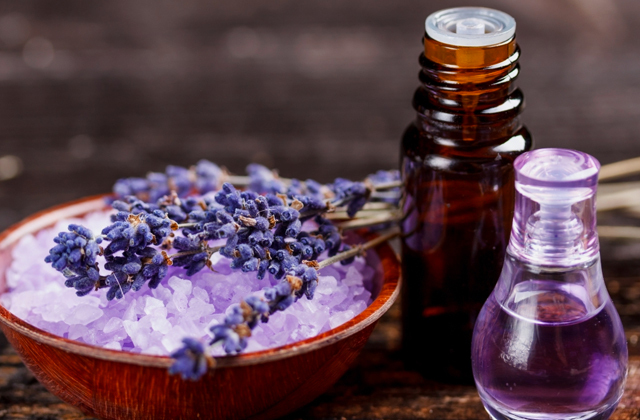 Among active ingredients here you wouldn't find any of alcohol, triclosan, sulfates, parabens, phthalates, dyes, fragrances. A new generation active formula doesn't irritate kid's delicate skin and works mildly on bruises and cuts too. The sanitizer itself features a bright teddy bear design that would definitely attract your child's attention, fetching him/her to reach for it every time when within kid's reach. When your infant grows up a bit, it will become one of his/her first and favorite cosmetic product for regular use. Adults who don't like too intense odors often go for this sanitizer too. 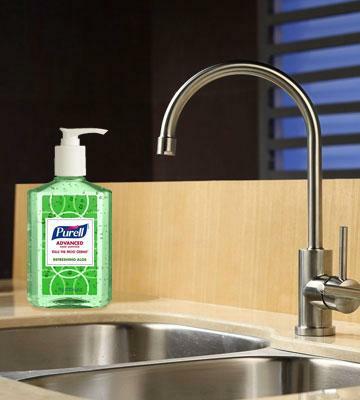 It's proved to be effective killing up to 99.9% of germs! Furnishing your nursery room, don't forget to buy a humidifier and create a healthy environment for your baby. Purity That is Always with You! 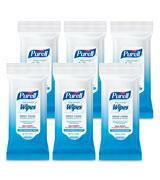 The PURELL hand sanitizing wipes are high-quality "towels" which can clean and sanitize your hands everywhere you need! 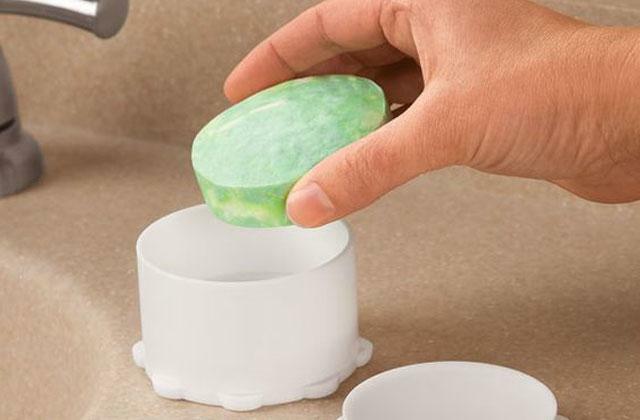 Using moisturized wipes can help wipe soiled surfaces, clean dirt on clothes and of course, clean face and hands, killing 99.99% of germs and bad bacteria at the same time. Any health-conscious individual should keep wipes in a bag. The PURELL hand sanitizing wipes in this sense are popular within a great majority of customers. So, what's there about them that makes these wipes so special? Well, it's its composition that includes one of the most effective sanitizing ingredients, 0.115% Benzalkonium Chloride, and aloe vera extract. 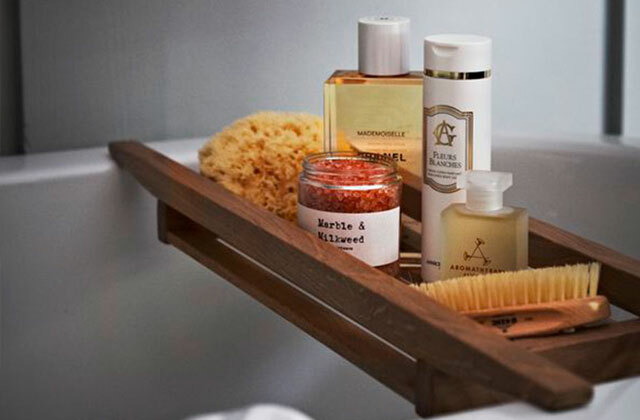 Only when combined together, can the cleaning solution be not only effective but actually beneficial for skin. They are safe to use on face and sensitive skin too and as frequently as you need. The PURELL hand sanitizing wipes are a must to keep at hand. The pack is so small that you'd be able to fit it in the smallest purse and take with you, give to your kid or keep one in a glove compartment. People who love traveling, often go on business trips, go jogging and simply lead an active lifestyle won't do without using the wipes too. By the way, modern stain removers are also available in travel size to use on-the-go. Not Just a Sanitizer but a Stylish Accessory! A stylish design, convenient dispenser, attractive transparent cartridges make this sanitizing system perfectly suitable for any small space. Although this sanitizer is produced mainly for public facilities, those who bought it for their home say that it is perfectly satisfactory. The system isn't big and looks modern and sleek on a wall. Besides sanitizer itself, you will also find wall mounts, retail rail mounts, table top mounts, and an office cubical mount in the box, so the mounting options are quite diverse. 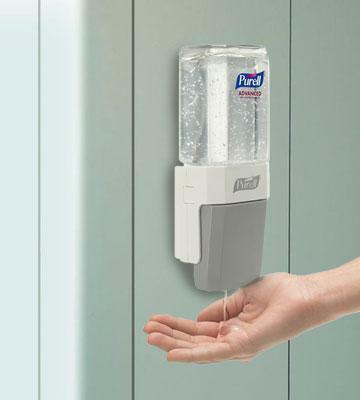 The system is very convenient to use and allows one-handed operation for quick and easy hand sanitizing. 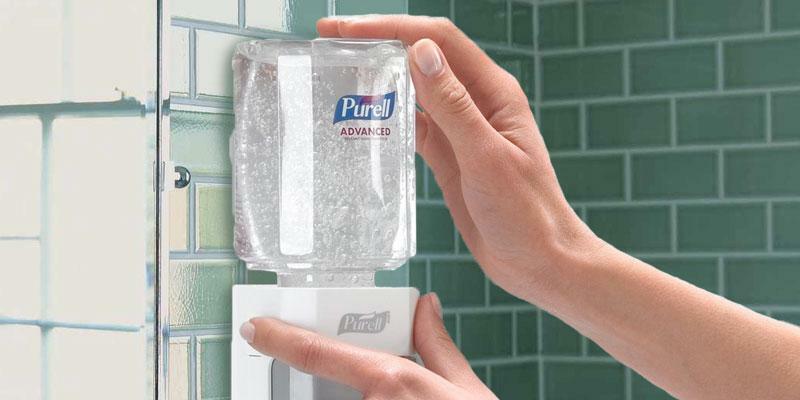 The Purell Advanced Hand Sanitizer holds the title of #1 brand used in hospitals not without a reason. Containing 70% alcohol, it effectively kills 99.99% of germs. 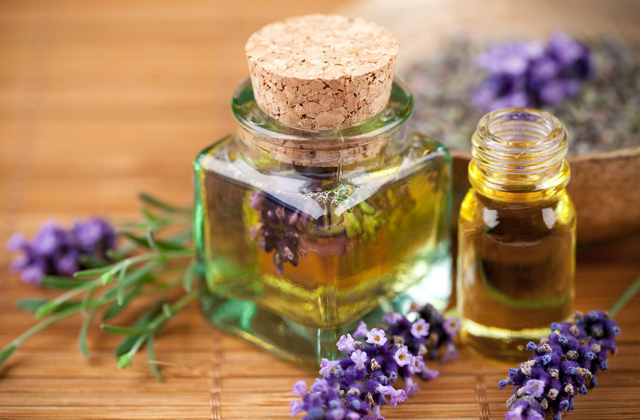 It also includes four moisturizers that are widely used in cosmetics production for softening and hydrating skin. Not surprisingly, this gel doesn't do any harm to skin but only helps maintain its health. More than 80% illnesses could be prevented if after each contact with a foreign object people washed hands. With the Purell Advanced Hand Sanitizer you can stand on guard of your and other people's health avoiding a lot of health issues. 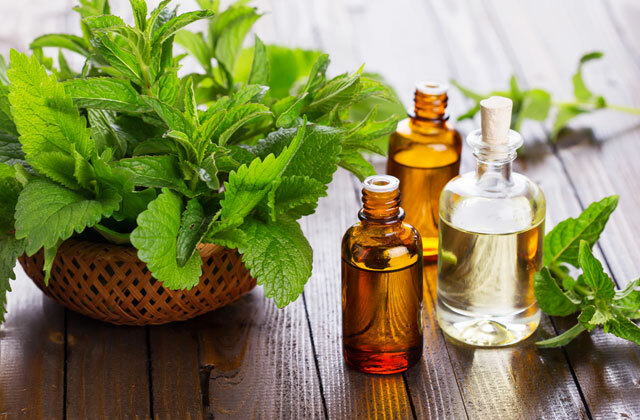 To create even healthier and cozier atmosphere in your house, we suggest you buy an oil diffuser. We are living at a fast pace! Life of action! So many amazing events! Tons of contacts! Unfortunately, we don't always have time or opportunity to wash our hands, let alone long trips or hikes, where such possibility is reduced almost to zero. However, this is not a reason to accept dirty hands, since they can be the cause of most infections and skin problems. So, we've come up with a solution! Hand sanitizers are manufactured in different shapes and sizes, large and small, alcohol-based and alcohol-free, wipes and sprays, yet they all perform the same function - kill bad bacteria and germs. Look through our review and select the sanitizer (or probably a few) to protect yourself and all your family members. Taking care of hygiene and cleanliness in your house, don't forget to buy a laundry detergent and glass cleaner. 1. Margaret Farley Steele How Safe Is That Hand Sanitizer? U.S. News & World Report. June 29, 2016. 2. Jordan Gaddis Is Hand Sanitizer as Effective as Washing Your Hands? SelectHealth. September 16, 2014. 3. Kathleen Doheny Hand Sanitizers: Do They Help Stop All Germs? WebMD. 4. Show Me the Science - When & How to Use Hand Sanitizer, CDC.